BMW 530e Touring: Is the plug-in hybrid station wagon coming? The BMW 530e is already one of the most important plug-in hybrids engineered in Munich, but it could soon get a significant boost. Recent spy photos from Sweden apparently show prototypes of a BMW 530e Touring G31, which seems ready for production. Two details clearly indicate the electrified drive of the 5 Series Touring: In addition to several “Hybrid Test Vehicle” stickers, the plug-in hybrid wagon also carries the typical charging door in the front fender. When the BMW 530e Touring hits the market, it will be the first mass-produced BMW sports wagon with a plug-in hybrid drive. So far, BMW had refrained from offering of a touring with electrified drive due to demand concerns, but the market conditions seem to be changing now. From a technical point of view, there are barely any obstacles in the adoption of a touring PHEV. Even with the slightly reduced trunk volume compared to conventionally-powered models, the customers preference could be in the favor of a practical and highly economical PHEV wagon. 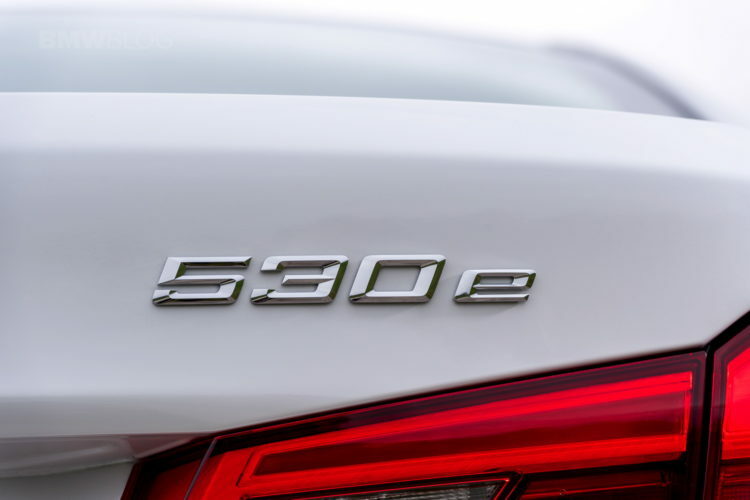 The current BMW 530e sedan combines the power of a four-cylinder gasoline engine with an electric drive, while the battery can be wirelessly charged. It is conceivable that the technology in the 530e Touring will be refreshed which could also lead to an update for the sedan. 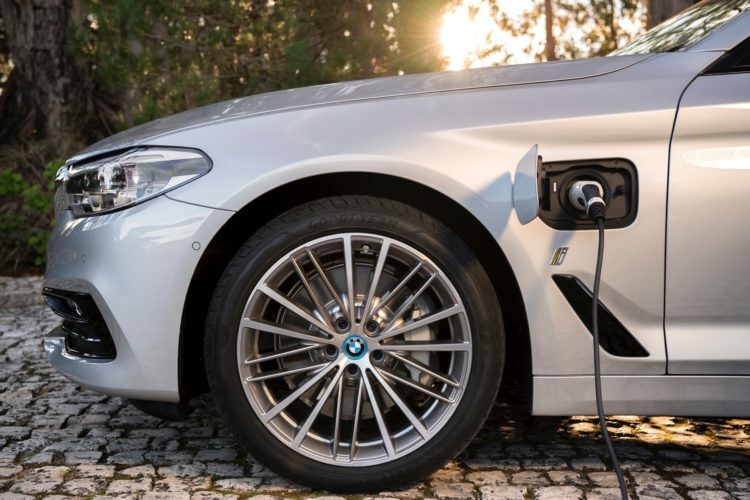 The fourth generation of the electric package will soon debut on board of the new BMW 745e and should then be rolled out to other plug-in hybrids. The higher energy density of the lithium-ion battery could also ensure a further increase in electric range in the BMW 530e Touring. It remains to be seen whether BMW will also introduce a four-wheel drive variant at the touring launch. If indeed heading for production, we expect to see hybrid 5 Series Touring sometimes later this year.